When you’re wanting a quick activity for your children, who are complaining of being bored, then I have the perfect idea for you. 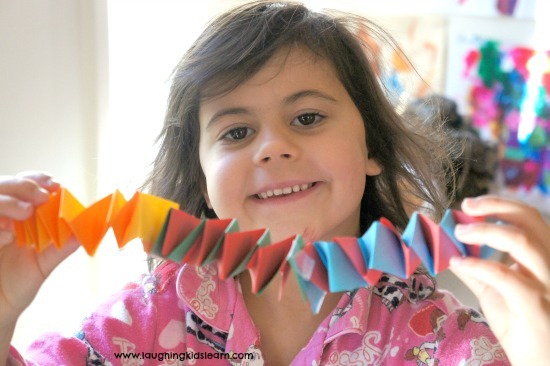 Check out below how to make fun paper springs with your children. 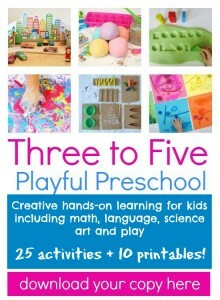 They look gorgeous and are wonderful for developing fine motor skills. (Strict and active supervision is required on all my activities shared). 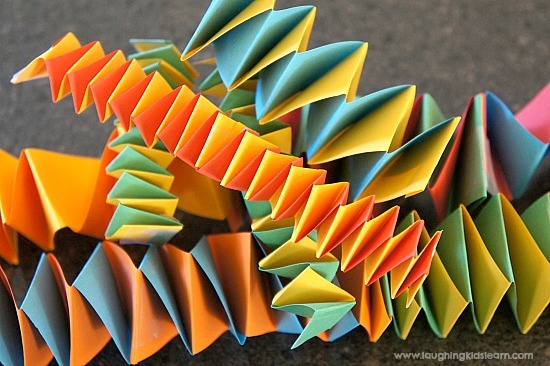 You might remember making them when you were at school. 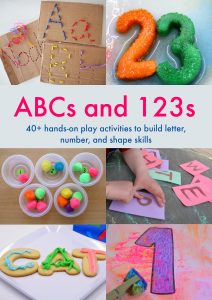 They are lots of fun and teachers will often have their students make these as they are great for developing fine motor skills. 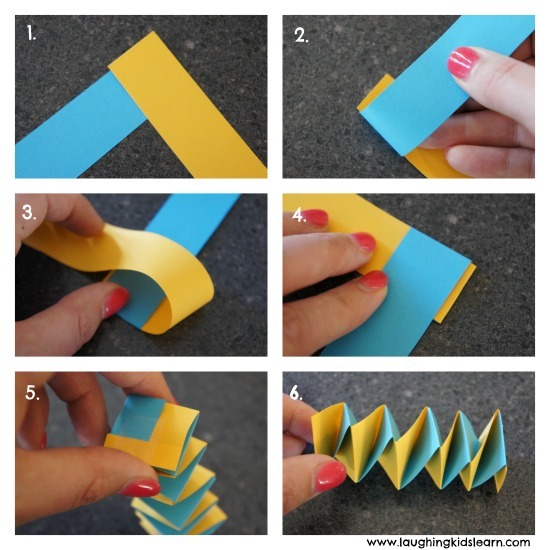 Begin by overlapping the ends of the coloured paper at a right angle (as shown above). Tape into position. Snuggly fold the bottom strip of paper over the top one. Next, snuggly fold the now lower strip of paper over the paper which is now on top. 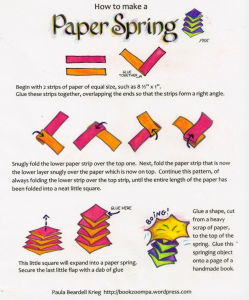 Here is another great visual that shows you how to make paper springs. 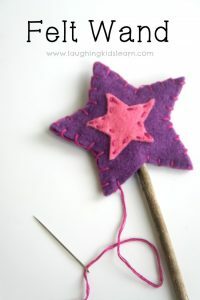 These were lots of fun to make and a really great holiday activity for kids to do when they are bored and looking for something to do. Possum made so many and she certainly got better and better as it with the practice. 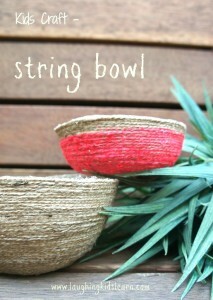 Hopefully now you know how to make paper springs and you can teach your own child how to make them. Once they learn they will take off and make many great crafts and decorations with them. 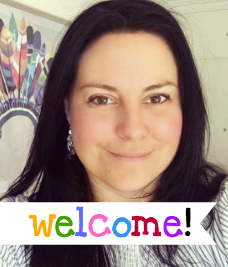 They really are something that suits older children, but younger children can still have a go and succeed with guidance. 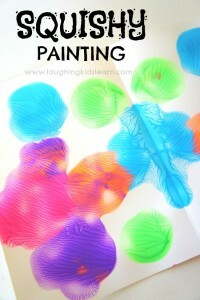 Making these paper springs is also really great for fine motor development. 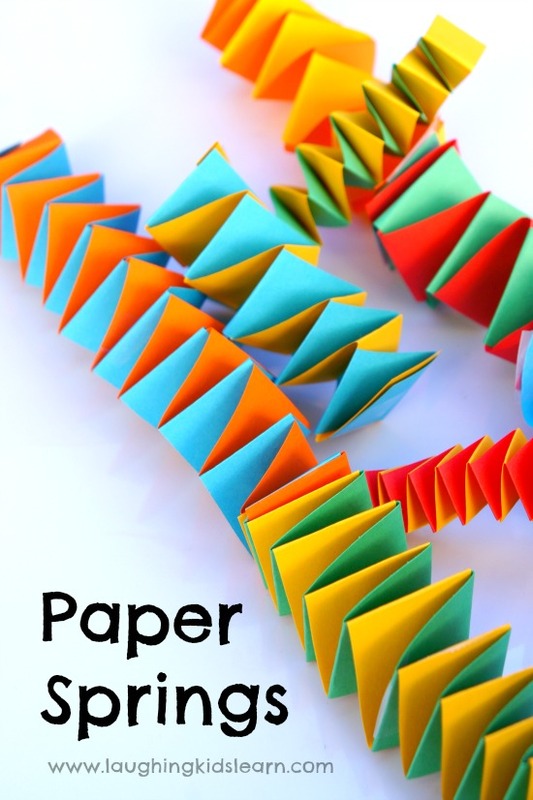 Would your child enjoy learning how to make fun paper springs? Hi Gail. Yes, you actually can. I’ve share this on my ‘Laughing Kids Learn’ Facebook page so you can share it from there. Otherwise, here is the link you can share from . 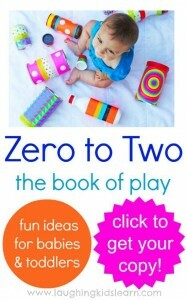 This is great, my 4 year old daughter is gonna go nuts when we try it this weekend. She loves crafting! Oh I’m so pleased you think it will interest her. It’s lots of fun and my 5 year old just makes soooooo many of them. They are gorgeous! Thank you for contacting me Ivy.